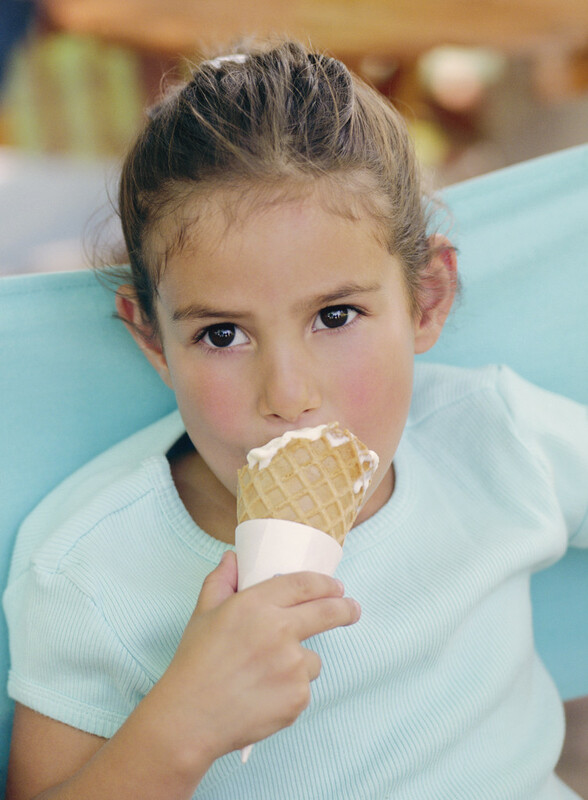 Fun Family Devotional Idea: Ice Cream! Summer is a great time to get outside with your kids and experience God’s wonderful world together. A simple walk down the street is full of potential for talking about God’s greatness. But did you know that dessert can also be an opportunity to share God’s love? Here we will talk about a fun and creative idea for turning dessert into a devotional. You may want to do this devotional with your kids outside as it can get messy. First, serve everyone their favorite ice cream in a cone with their toppings of choice. While everyone is eating, ask this question: “What do you think would happen if we all stopped licking our cones?” Then say, “Let’s see what will happen. Everybody stop licking.” As the ice cream starts to run down the sides ask, “Why doesn’t it drip up?” and “How can we get it to stop dripping?” Let at least one drip make it to the ground and then have everyone lick off their cones and hands. Use these verses (and any others that the Lord lays on your heart) to help your children understand that we are all sinners. It is our nature to sin. Like the ice cream running down the side of the cone, we want to go our own way – more than that, without God, we couldn’t stay away from sin if we wanted to. Without God intervening and “licking us up,” we would be lost – like the ice cream that fell to the ground. Jesus is the one who upholds us, protects us, and keeps us safe. Ask your kids to think about ways that God has protected them and kept their feet from stumbling (Proverbs 3:26) in recent days. Was there a time when they were tempted to sin, but didn’t? Was there a moment when they could “hear” God’s words protecting them from sin? Give glory to God for “licking them up” and keeping them from sin. Conclude by praying and thanking God for providing a solution to our “sin problem” through Jesus.